Metro Councilman Steve Glover announced he is running for an at-large spot on the city council. 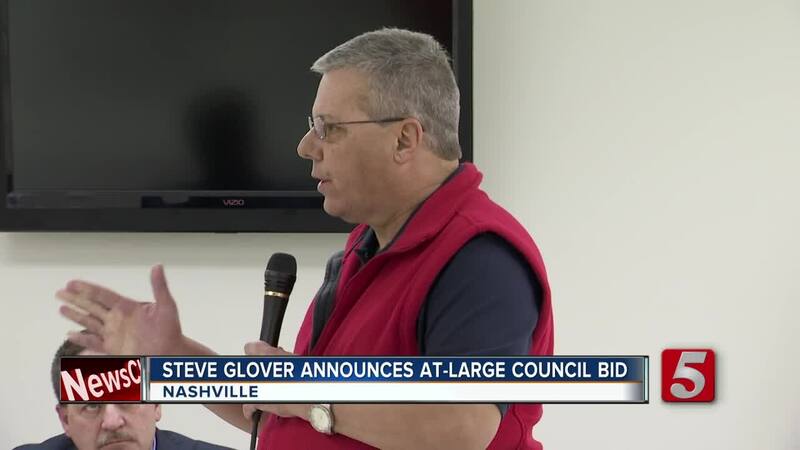 NASHVILLE, Tenn. (WTVF) — Metro Councilman Steve Glover announced he is running for an at-large spot on the city council. Councilman Glover currently represents District 12. He made the announcement at the firefighter's union hall Monday night. Supporters say he stands for the firefighters and EMTs of Nashville and the issues they care about. He says one of those issues is Metro's debt. Glover says the city has a spending problem, and needs to be more careful when deciding where its money goes.